The Student Office of Sustainability (SOS) is a Commission of Student Senate whose purpose is to allocate the Green Fund using a collaborative model in order to make UW-Eau Claire a more sustainable campus. The SOS funds projects, programs, and events addressing the various sustainability areas of transportation, energy, waste, climate change, water, food systems, campus ecology, education, and outreach. Students interested in all areas of sustainability are encouraged to attend meetings, which take place once every week and are open to the public. Students looking to become involved with sustainability at UW-Eau Claire should contact the SOS. 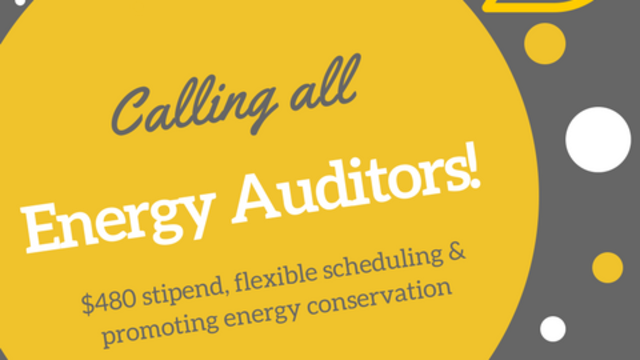 Interested in becoming an Energy Auditor?